Canadian provinces are ramping up tax credits as they compete to woo video game firms. In the end, who wins? 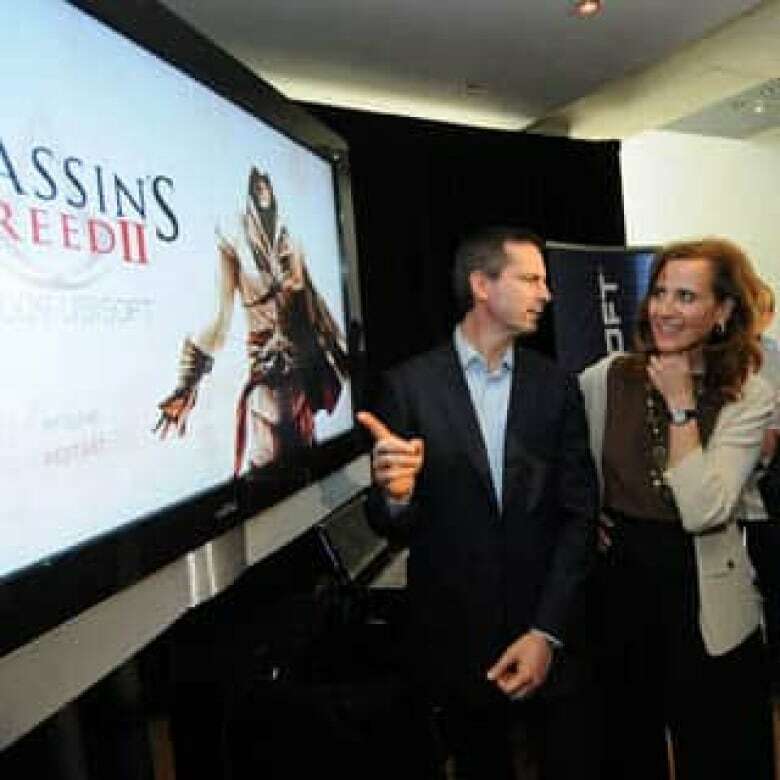 In July 2009, Ontario Premier Dalton McGuinty and Minister of Economic Development Sandra Pupatello announced the province would provide $263 million over 10 years to help French video game giant Ubisoft set up an 800-person studio in Toronto. ((Ubisoft/Canadian Press))The hot competition for video game jobs is pitting provinces against each other and against other countries. Many jurisdictions have turned to injections of taxpayer money to gain an edge, and the contest is getting ugly. There has been an ongoing uproar in Britain since July when BBC's PoliticsShow highlighted Canadian provinces' tax incentives for the video game industry and the U.K.'s decision not to implement similar programs. When asked about them, Danielle Parr, president of the association representing the Canadian video game industry, quipped: "All's fair in love and war." And it's a civil war as much as an international one. In August, Mark Sandiford, president of the Interactive Media Alliance of P.E.I., highlighted the consequences of provinces' growing subsidies to attract the video game industry. Longtail Studios, a developer headquartered in New York, had left its P.E.I. studio. The move came after the province lowered its tax incentives, around the time that the Nova Scotia government offered Longtail a payroll rebate of up to $1.1 million over five years to help the company set up a Halifax studio with up to 60 employees. "The province really should not be dangling carrots in front of them and saying 'Here, come for the money,'" said Sandiford at the time. "At some point, if you decide to reduce the money, then those companies will go to somebody else who's dangling a carrot." In fact, provinces have announced fresh bunches of dangling carrots for the video game industry in the past couple of years. A segment on Canadian video game industry incentives on the BBC Politics show in July caused an uproar in the U.K. This past February, B.C. announced a new 17.5 per cent tax credit on labour costs from the production of interactive digital media. In March 2009, Ontario had boosted its maximum interactive digital media tax credit from 25 to 40 per cent of labour costs. Four months later, Ontario Premier Dalton McGuinty announced the province would provide $263 million over 10 years to help French video game giant Ubisoft set up a studio in Toronto that was expected to eventually generate 800 jobs. Sandra Pupatello, Ontario's minister of economic development and trade, says incentives are part of a national and global competition for a piece of what is viewed as a recession-proof industry. "Many jurisdictions, they're in that race to match those things," she said. "Quite frankly over the past few years, the playing field has changed dramatically because a number of other jurisdictions are getting into this." Much of the competition has been spurred by the success of Quebec's long-running incentive program. The government estimates it has provided $491 million in labour tax credits to the video game industry since 1998 — $80 million this year alone, covering up to 37.5 per cent of labour costs, or $11, 428 per employee. The province may also provide cash subsidies to help companies establish new studios as well as support for "training programs that correspond to the specific needs of the industry." It even went so far as to invest $40 million in 4.5 per cent ownership of Ubisoft this past July, through la Société générale de financement du Québec, a holding company of the government that funds economic development projects in the province. Canadian provinces are competing fiercely for the video game industry in the hopes that they will ultimately cash in. The Entertainment Software Association of Canada, the industry’s lobby group, says video game publishers in Canada generate about $2 billion a year in revenue, and pump about $1.7 billion of that back into the economy. According to the Quebec government, the video game industry has grown 600 per cent since 2003. About 50 development studios provided 5,000 jobs by May 2010 and other firms within the multimedia industry employ about 2,000 more. Montreal is now home to studios for Electronic Arts, Eidos and Activision as well as Ubisoft's biggest studio in the world, at a little over 2,000 employees. Just this past December, California-based THQ announced plans for a new Montreal studio, which will get a $3 million Quebec government contribution. Warner Bros. is also setting up in Montreal, with $7.5-million from the province's investment arm. "Anybody you talk to within the industry in Quebec will tell you that the incentives that were put together 14, 15 years ago are one of the keys of why the industry is so successful here in Montreal," said Cédric Orvoine, communications director for Ubisoft Montreal and Toronto. David Wolfe, a political science professor at the University of Toronto who studies governments' role in the local economic development of technology clusters, said government subsidies in the video game industry are higher than in other areas of technology. But when multiple jurisdictions around the world are fighting to woo the same companies in a competitive industry, such incentives are not uncommon. Montreal is now home to studios for Electronic Arts, Eidos, Activision, Ubisoft and others. 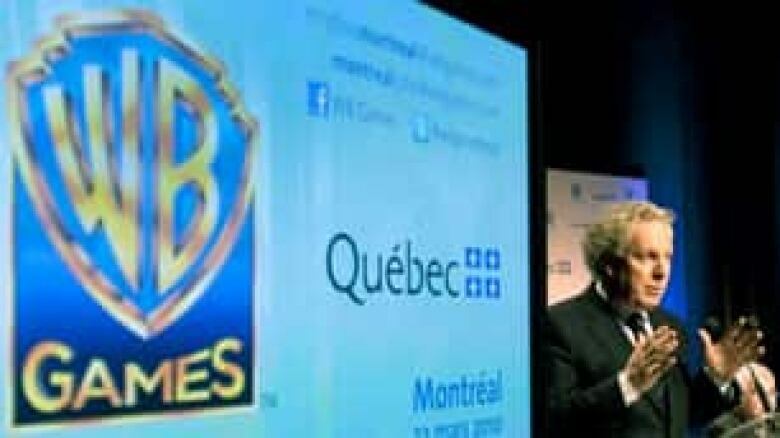 Premier Jean Charest announced in March that Warner Bros. is also setting up in Montreal with the help of a $7.5-million non-refundable contribution from the province's investment arm. ((Ryan Remiorz/Canadian Press))"There's an awful lot of debate about how effective they are," he acknowledged. On one hand, they send a signal to other firms that the sector is growing, and supporting one company can lure others, allowing them to create linkages among themselves. "So there's sort of spinoff effects from the initial investment," Wolfe said. "But critics will say that if you look at the dollars per job created — the dollars given either in tax credits or direct subsidies per job created — it doesn't justify the expense." The video game industry justifies the need for labour tax credits by pointing to the nature of its business. "A very small percentage of games are actually profitable," said Danielle Parr, president of the Entertainment Software Association Canada, which represents the industry nationally. Cédric Orvoine of Ubisoft said developing a console video game in Canada can cost $20 million to $30 million. Labour — the focus of most government tax credits — makes up around 85 per cent of the cost, he said. Expenses such as buildings, technology and marketing make up the rest. "The risks for the company are extremely high," Orvoine said. "We're looking for environments where we can invest and minimize our risk." At the moment, he said, there isn't a simple, agreed-upon way to calculate whether or not taxpayers are getting their money's worth. "Different people will use different methodologies and come up with justifications for their position." Allan Campbell, P.E.I. 's minister of innovation and advanced learning, admitted it's a difficult thing to measure, but he added: "We feel we're getting the return on our investment, for sure." That investment isn't only in the form of tax subsidies, but also in its generous support for educational programs that supply trained workers to the video game industry — something that Quebec and Ontario have also invested in heavily. Wolfe and many within the industry emphasize that subsidies alone don't lure companies to set up shop, but do help tip the balance when a talented, creative pool of workers is locally available and other conditions are right. Pupatello said Ontario's tax breaks level the playing field with other jurisdictions — and allow them to be judged on their true merits — in a competitive environment. On the flip side, Sandiford of the Interactive Media Alliance of P.E.I. 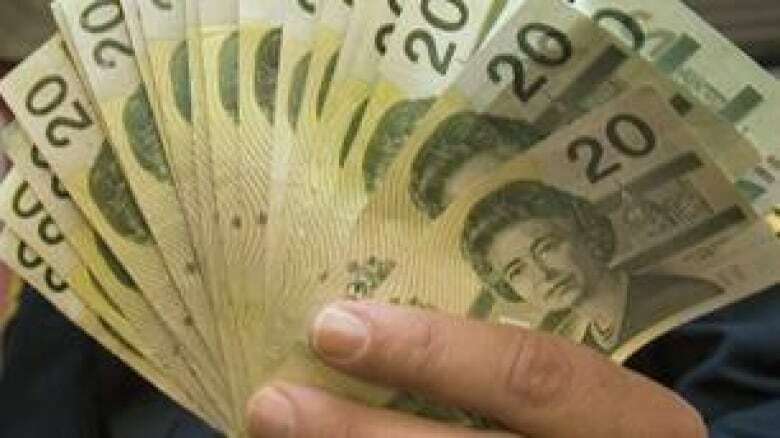 said some incentives may be required for companies to even consider locating in a place like his province, with its small labour pool and fewer amenities compared to other places. But he believes things can go too far. "It is possible for provinces to get into a bidding war," he said. In 2009, P.E.I. dropped its two-year 52.5 per cent tax credit to a five-year credit of 25 per cent on existing jobs and 30 per cent on new jobs. ((Ryan Remiorz/Canadian Press))Already, his own province is struggling to keep up. In 2009, P.E.I. dropped its two-year 52.5 per cent tax credit to a five-year credit of 25 per cent on existing jobs and 30 per cent on new jobs. "Really, it came down to a matter of sustainability and affordability," Campbell said. "To continue on at the 52.5 per cent … we didn't feel it was sustainable." He admitted the change in the level of incentives compared to Nova Scotia was "probably a factor" in Longtail Studio's decision to leave P.E.I. Sandiford said he believes credits worth 50 per cent or more are "really designed to poach companies" and aren't serving anyone well. At that point, he said, there is a risk companies will become reliant on handouts: "Their business model becomes around maximizing tax credits as opposed to making really good products and selling them." In the 1990s, French video game giant Ubisoft was planning to expand into North America. Quebec lobbyist Sylvain Vaugeois proposed that the provincial government attract the company by investing $25,000 annually per employee for five years. Initially, Quebec deemed the plan too expensive. But after Vaugeois disclosed his plan to Ubisoft, the New Brunswick government expressed interest in the company and the City of Montreal began lobbying, Quebec agreed to provide tax credits worth $15,000 per employee and convinced the federal government to kick in another $10,000 per employee — up to $12.5 million per year. In 1997, Ubisoft set up its Montreal studio, promising 500 jobs over five years under a 10-year contract with Quebec. In 2005, Ubisoft announced another 1,000 jobs in Montreal, and the Quebec government promised $17.6 million to help with that. It also paid $4.7 million for training tied to the original contract and $29.7 million in compensation for reducing its original labour tax credit from 50 per cent to 37.5 per cent in 2003. As of mid-September, Ubisoft's Montreal studio employed more than 2,000 people and was expected to grow to 3,000 by 2013. In 2009, Ubisoft announced that it would be building a new, 800-person studio in Toronto with the help of a $263 million over 10 years from the Ontario government. The Quebec government also boosted its investment in Ubisoft recently. It announced in July that it had spent $40 million on a 4.5 per cent stake in the company. Ubisoft's rapid expansion in Canada came during a period when it established other new studios in China, India, Brazil, Romania, Bulgaria and Singapore. Battlegoat Studios in Ancaster, Ont., was founded in 2000, at a time when Ontario didn't have a lot of tax incentives for the video game industry. 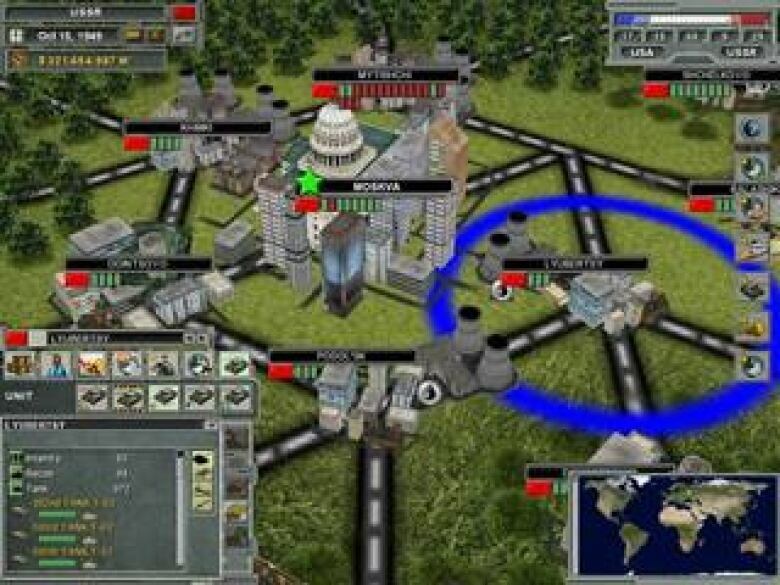 George Geczy, co-founder of the PC strategy game developer, said they weren't something his company felt they needed then, but things changed when the Canadian dollar soared toward par with the U.S. dollar. "Our entire business plan was thrown upside down," he said. "If it wasn't that these incentives started ramping up, we probably would have been in a lot of trouble." Currently, Ontario's incentives are at the higher end of the interprovincial contest. But Geczy said, "If Ontario did drop their incentive, then we would have to seriously look at other options." And there are options. His company, which has only seven full-time staff members, has received proposals from France, some U.S. states, the Isle of Man and "some places I hadn't even heard of," he said. Even larger video game firms are relatively mobile. Many have locations all over the world and a minimal investment in local infrastructure compared to industries involving manufacturing. Those companies say they keep their eye on the business environment in other jurisdictions, which is particularly easy when governments aren't shy about making the first move. In Ubisoft's case, Orvoine said the Ontario government first approached the company four years ago. It announced its Toronto studio in July 2009. Stéphane D'Astous, general manager of Eidos Montreal, said right now Montreal is attractive to his company not only because of Quebec's incentives, but also because of the city's low rents and a culture that straddles the Americas and Europe. But he added, "Nothing is permanent and nothing is forever," he said. "You need to be always a businessman and looking out for all the trends." When tax breaks are lowered, not all companies flee. Longtail was, in fact, the only company that left P.E.I. after the province slashed its subsidies, Sandiford said. "Companies that stayed once incentives have lowered," he added, "were ones that had been around for about five years and put down roots." Battlegoat Studios, which makes PC strategy games like this one, has only seven employees but has been approached by France, several U.S. states and the Isle of Man. ((Battlegoat Studios))He thinks five years is a good length for a subsidy program — one that will give companies a chance to see if they can make it on their own. "You don't keep subsidizing everyone forever," he said. Wolfe agrees that making sure companies become rooted is the key. "For these incentives to work the way governments want them to, the firm has to be successfully grounded in the provincial or the local economy," he said. "But then it has to develop linkages to other firms." These linkages may include suppliers, subcontractors, or new firms spun off from the parent company. "If that starts to happen," he said, "that's when the subsidy's really worth the money that's been put into it." Pupatello says Ontario is in a good position to do that, with its existing special effects, animation, film and technology industries supplying many of the skills and other ingredients for a successful video game industry. But she said the new cluster really needed a video game publisher to act as an anchor tenant, and Ontario did what needed to be done to land Ubisoft. "I think you have to be in the game," she said. "There's no question about that. You've got to be in the game."